FFF LOVES… Dijanna is beautiful inside and out. We want her style savvy… and her Chloe biscuit blazer. A biscuit coloured Chloe blazer, American Apparel white tees, Acne jeans and Ferragamo loafers. It’s my uniform when I write, comfy and classic. Like everyone I love a great shoe. Pierre Hardy, Christian Louboutin, Prada and Alexander McQueen, always make me feel great and never shrink in the wash no matter how much weight I put on. My Carl Kapp deep red silk dolman sleeve dress. It’s a go-to garment whenever I don’t know what to wear and gets great comments every time. My Sergio Rossi pointed toe, knee length black leather boots. They have taken me all over the world and are as comfortable as an old friend. I just can’t ditch them. An Yves Saint Laurent Smoking Suit, happy with either vintage or a Pilati interpretation. 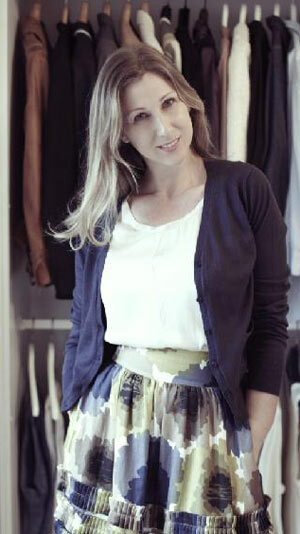 Dijanna Mulhearn has over twenty years experience in the fashion industry. From retail to events management and fashion writing Dijanna has worked with major brands including Akira, Belinda boutique and Oroton Australia, managed PR for Harper’s BAZAAR as well as heading up the PR and advertising for luxury label Prada in Australia. Dijanna knows fashion inside out. She created and wrote the long running weekly column Wardrobe 101 at the Sydney Morning Herald which was syndicated to The Age and Brisbane Times online and regularly contributes to Grazia. Dijanna lives in Sydney with her husband and son.